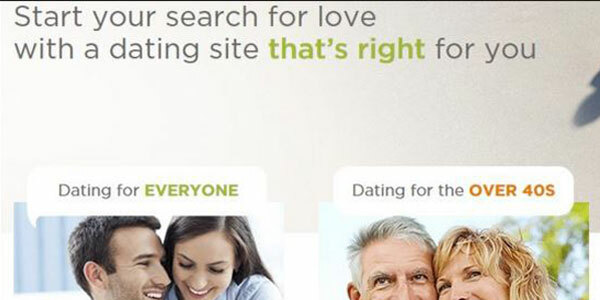 With over 2 million members, DatingAgency.com is outstanding both a general dating platform and as a dating site fit for singles over 40. The site’s top features include the “Hot Meter” which allows you to rate and interact with users you like as well as the blogging tool which helps members showcase who you are and what you are looking for. The DatingAgency site structure is fantastically unique. You can decide whether to use the “Everyone” platform, the “Over 40s” dating network or simply to date “For Fun.” The choice is yours, but it’s an effective way to hone in on what you are looking for from the very start. Whatever you choose, the range of features is impressive. For a start, there are plenty of options for getting in touch with other users, including private message, instant chat, a cheeky ‘flirt’ or even a virtual gift. You can also use “Encounters” which allows you to express interest in other users – you will be notified if they reciprocate. 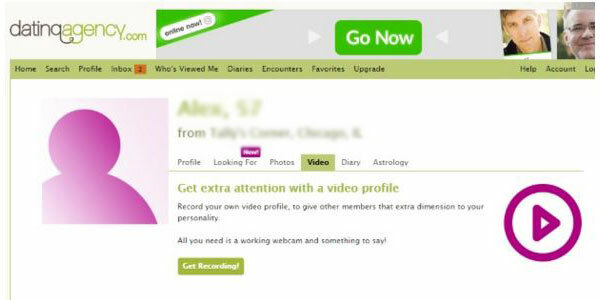 And once you get round to populating your profile, check out the video profile and in particular the “Diaries” feature. This blogging platform is hard to find elsewhere and enables you to keep a diary of your dating exploits and tell other users about yourself in a creative way. If you are prepared to pay a small amount for add-ons, then you can add extra functionality, including a notification service if your messages have been read. Getting started at DatingAgency is incredibly straightforward. It will take you no more than a couple of minutes to sign up and begin browsing other profiles. You will first be asked whether you are looking for a man or woman (note that there is no gay or lesbian dating though) and then be required to submit your date of birth. Then simply type in your first name, a valid e-mail address and a password and you are ready to go. Of course, you will be encouraged to fill up your profile at your convenience. Users at DatingAgency often update their profiles, so it is worth uploading photos and telling others a bit about your interests, education, hobbies and anything else about your personality. Safety and security is taken seriously. In fact, more seriously than you will find at most other dating sites. For a start, there is a team of moderators working around the clock to ensure no suspicious activity occurs. Meanwhile, DatingAgency.com also uses specific anti-scam software called Online Dating Protector, which should automatically eliminate most scammers. In addition, you will find some useful tips for safe dating online and offline. You can sign up as a free member, but the action is rather limited. You can send one introductory message without paying, but otherwise you are restricted to browsing and creating your own profile. As a result, any DatingAgency review will advise you to become a paid member. For just a single month, you will pay $19.95, with discounts for multi-month packages. So, a 3-month deal will set you back $13.32 monthly, a 6-month package costs $10 each month and a full 12-month deal comes out at $8.33 per month. DatingAgency is an eye-catching and intuitive site. This means that whether you are a first-time dater or a veteran on the online scene, you will find it a simple and enjoyable experience. The functionality is very straightforward – You have direct access to your inbox, search functions, your “Diary” and anything else you might want, from the tabs at the top of the page. You will also find that each page includes a footer conveniently displaying your new messages, how many views your profile has attracted and other useful information. And if you aren’t sure how to break the ice with other users, check out the useful “Your Answers” section which suggests some pre-prepared conversation starters. And of course, thanks to the excellent mobile site, you won’t miss any of the action, wherever you are. You can tailor your search to your precise needs when you use the manual search feature. All you need to do is select your search criteria, including age, location, interests, education, physical features and a whole lot more. Once you find a combination of search items which best match what you are looking for, then you can save the search and use it as your very own personal algorithm. Alternatively, you can also take advantage of the automatically generated “Encounters” feature. The site will suggest potential matches based on the information you have submitted. If you indicate that you are interested and the attraction is mutual, then you will be notified. The rest is up to you! This is a comprehensive and great value for money dating site, whether you are looking for a date or the love of your life. With the innovative “Over 40s” site, DatingAgency will be of special interest to mature singles. However, if you are looking for a site entirely dedicated to older dating, then check out the review for OurTime​. Whatever you are searching for, DatingAgency boasts a massive range of users, innovative tools and a hugely user-friendly experience.